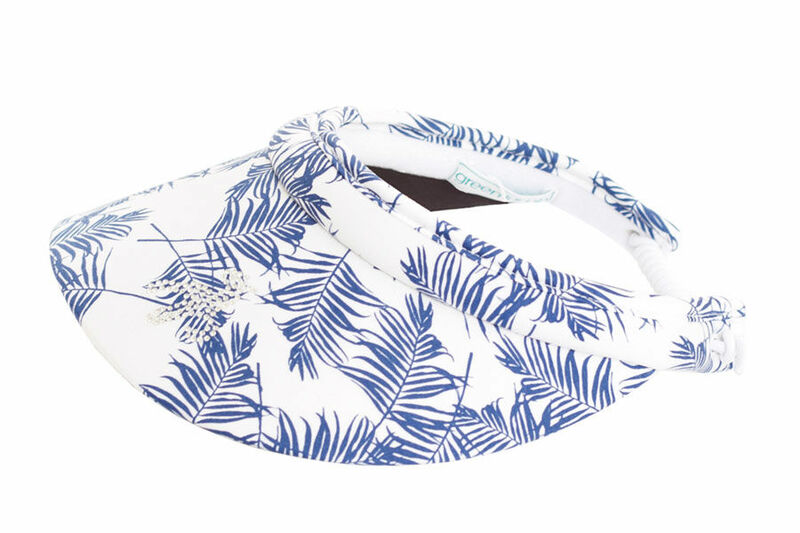 This summer golf visor, offers comfort and fashion as you play golf. The visor offers sun protection, and has a terry material inside headband which eliminates sweat for less distraction during your golf game. The design features a pre-curved bill to reduce glare, and has an elasticated coiled lace at the back for a more personalised fitting, this will suit most sizes. We are pleased to be able to offer a range of different delivery services, such as Standard (free on orders over £25) and Next Working Day, Saturday and Choose a Deliver Date. Availability of these services is dependant on the destination of your order. All available options will be presented to you in the basket, after you have submitted the postcode of your delivery address. The costs of these services, along with delivery times and further information are listed in the table below. Delivered within 3-7 working days (Monday to Friday excluding UK Public Holidays) when ordered before 6pm. Delivered within 1-3 working days (Monday to Friday excluding UK Public Holidays) when ordered before 6pm. Order before 6pm to receive on the next working day. Orders placed over the weekend, and after 6pm on Friday will be delivered on the following Tuesday. Order throughout the week, before 6pm on Friday to receive on Saturday. Orders placed after 6pm on Friday will be delivered on the following Saturday. Upon selecting this option, you will be asked to Choose a Delivery Date from those available. If the option you require is not available, please contact customer services. Orders can be despatched to your home or work place and unless you have paid for a special timed delivery, your order will delivered on a weekday (Monday – Friday) between 8.00am to 8.00pm. All deliveries will require a signature. We dispatch orders on weekdays only, except on Bank Holidays. We do not offer a collection from depot service and our recommendation is that you ensure someone is available to sign for your orders. If nobody is available to sign for the goods, the courier will leave a card with details of the phone number to call to arrange another delivery. Within the shopping cart there is a facility where you can add special delivery instructions. For example: "Door entry code 1234" or "If out, please leave with neighbour". In the event that you are not satisfied with any purchase from onlinegolf.co.uk, you may return unused goods, along with all original packaging and any labels within 30 days of receipt for a full refund. You can confirm your intent to return all or part of your order here. Please select ‘Return Request’ from the dropdown Department menu and complete the details as required. Once you have submitted this form, you will be contacted by a member of our Aftersales team who will guide you through the process. Packs of socks that have been split. Packs of gloves that have been split. Any socks, underwear or baselayers that have been worn. Blister packs that have been opened. Return shipping costs can only be refunded where we have sent the wrong goods in error. We recommend that you use a reputable courier (e.g. Parcelforce) for larger items and Royal Mail Special/Recorded Delivery for smaller items. We cannot accept responsibility for the returned goods until a member of our staff has signed for receipt of the goods. We offer a fully tracked collection service where we will organise the collection of you order from a place and day of your choosing, this service is available Monday to Friday, 0900-1700. This service is currently available in the UK only. If you wish to use this service please contact Customer Services on +44(0)1512247141 who will advise.